Want to create a foster program designed to save more lives? Then the Maddie's® Dog Foster Program Apprenticeship is for you! Learn how to develop, implement and manage a robust foster program to increase lifesaving efforts in your community. This apprenticeship will teach you how to start a foster program or increase the capacity of an existing program through effective assessment and implementation of various practices and policies. Attendees to this apprenticeship will learn how to set up and run a comprehensive foster program. 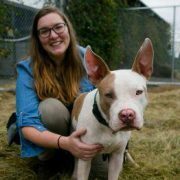 This apprenticeship opportunity is for shelter/rescue organization directors, staff and volunteers. Each apprenticeship is five days, plus travel, and hosted in Austin, Texas. "While participating in an apprenticeship at APA! 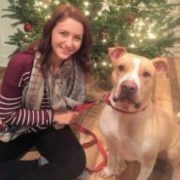 I learned more effective and cost-saving ways to better serve the animals in our care, while also providing established protocols and procedures to staff members. I was able to more easily and clearly create a framework for common symptoms and illness. Other takeaways from the apprenticeship would be HR development, crowdfunding, and drug and illness protocols." "I wanted to thank you for the opportunity to attend your master class. I was shocked at the amount of information I learned from your class. Your candor and non-judgmental attitude made receiving information when I was admitting I had been wrong so much easier. Again, thank you for the opportunity, and I look forward to staying in contact with you!" "Thank you for giving us the tools we need and the continued offer of support. I feel confident that between this course and the feline course I’m attending next month, our shelter is going to be able to save most of that last 10% and that is HUGE. You are amazing. Your staff is amazing. Your volunteers are phenomenal. Thank you."